Please have a look to the Chlorine Free Pools in Italy swimmers like you may have reported. Is your pool not listed? Contact us to ADD IT. It is absolutely free! The perfect pools to swim are undoubtedly indoor olympic pools. Are you a regular swimmer? Do you visit exactly the same Pools? Please check that all of the details for your aquatic center are correct and get in touch with us for those who find any mistake. We at present have the following Chlorine Free Pools in Italy, but we are usually grateful for any corrections or contributions. Get in touch via our contact type. Are you on holiday and wish to keep fit and wholesome? Swimia.com offers you the easy and quickest option to acquire pool near Italy. There are often discounts available to senior citizen and small children. Discover by contacting your nearest pool in Italy. It's difficult to visit Italy with out dropping by Milan (with 1.306.661 residents). Currently Swimia is showing you all of the Pool in Milan and the closest pools located in its vicinity. Let us tell you a secret to switch off while you're in Rome: just choose a Pool in Rome and plunge into the water! There's no alot more beneficial method. Swimming is usually a excellent concept to keep your body active throughout your visit to Naples (Italy), or perhaps if you are a local. Swimia helps you to find your closest Pool in Naples. Whereas Genoa is among the six most populous cities in Italy with almost 601.951 residents, you shouldn't miss that one if you're going to Italy. Without a shadow of a doubt, swimming in Palermo will be the most effective way to unwind following work. 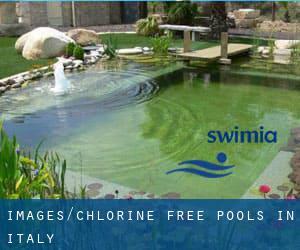 Take a couple of minutes to browse Swimia's catalog to find a Swimming Pool in Palermo. Updated on 2019 Piazza Maria Contini, 5 , Riva del Garda (Postal Code: 38066). Swimmers like you reported 25 meters x 12.5 meters, 6 lanes, Non-Chlorine Sanitized, Indoors. Phone number and e mail address are number for this Swimming Pool. Via Filadelfia 232/5 , Circoscrizione 2 Santa Rita - Mirafiori Nord , Turin (Torino) (Postal Code: 10137). Among all the activities offered by the center, if you are interested in swimming you will enjoy 25 meters, 6 lanes, Indoors. Just in case you would like to contact this Swimming Pool just before dropping by, we only know the phone number.